Introducing Profyle aka Barz, a prolific Rapper/Songwriter who has been creating a steady Buzz in the underground Scene for a while now. Profyle, real Name Emmanuel Enegedi hails from Akwa-Ibom State and is now set from is Mainstream Debut with a new single LOVE 4D STREETZ featuring Isolate and Owengee produced by Freaky and Co-produced by Drew, coming off his forth coming Studio Album AWAITING TRIAL. The self proclaimed Rap's best kept Secret combines a sleek delivery with secret Lingos and a blend of Thought provoking Story-telling ability to produce what can only be described as exceptional. 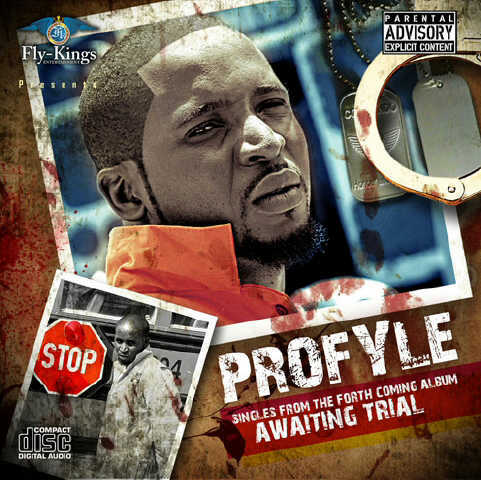 Currently signed to Fly-kings Entertainment, Profyle had already worked with quit a number of established artistes in different capacity. The multi-talented Artiste's agenda he says, is to back the glory Days of real Hip-Hop.